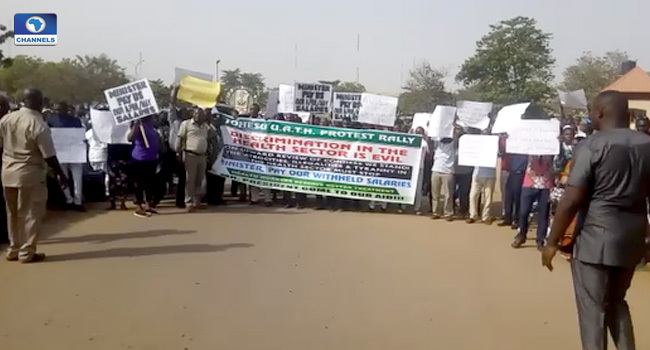 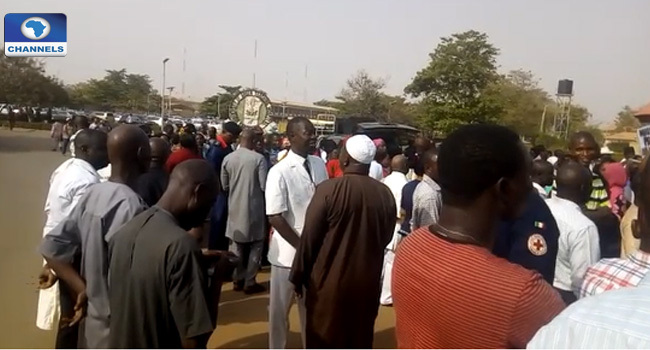 Members of the Joint Health Sector Unions (JOHESU) have commenced a three-day protest rally to draw attention to their demands for improved welfare. 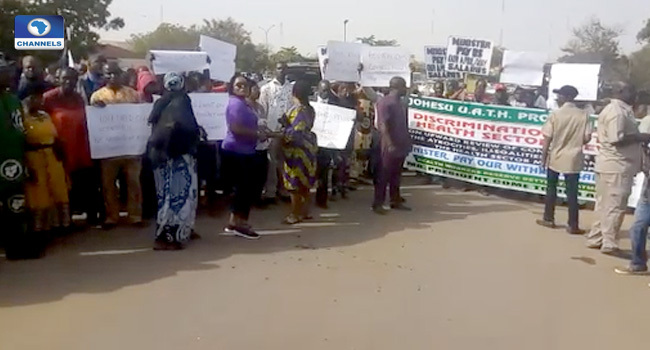 The action is in compliance with the directives from the National Secretariat of JOHESU, asking members to commence a three-day protest rally from 8 am till noon each day. 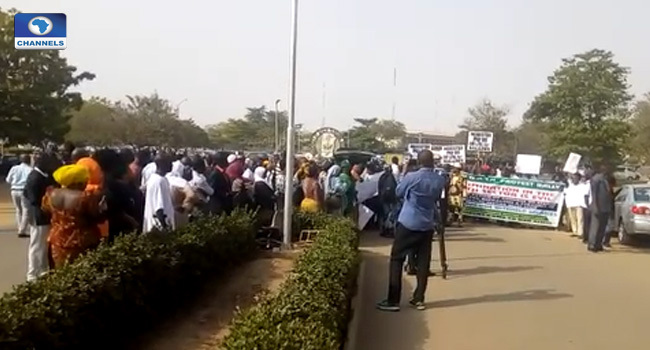 Topping their demands is the payment of their salaries for the month of April and May 2018, when they were on strike. 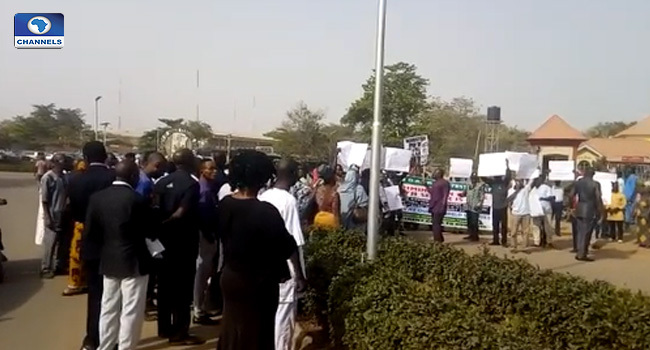 Salaries of members for those two months were withheld, on the basis of the ‘No Work No Pay’ policy of the Federal government.